Last week I was invited to the lookagain.co.uk Spring/Summer 2014 press event. Look Again is the online destination for all of your favourite high-street pieces, including a few exclusive brands. I haven't had the opportunity to attend many press days recently with the demands of work, however it was lovely to spend a few hours in the company of other press and bloggers, at chic London venue, Vanilla, to rifle through the Look Again SS14 collections, sip champagne and chat about our favourite pieces. The event also marked the launch of Stacey Solomon as the Brand Ambassador. Having met Stacey before I already knew she would make a great face of the brand. She loves fashion and is genuinely friendly. I asked her which look she liked the most and to my surprise it wasn't a glamorous dress or statement jacket. It was the versatile Skinny Denim Dungarees by AJC. Stacey adopted the minimalist approach teaming the dungarees with a white tee, although you could opt for a more country look pairing with a checked shirt, or for a more modern approach choose a staple white shirt. 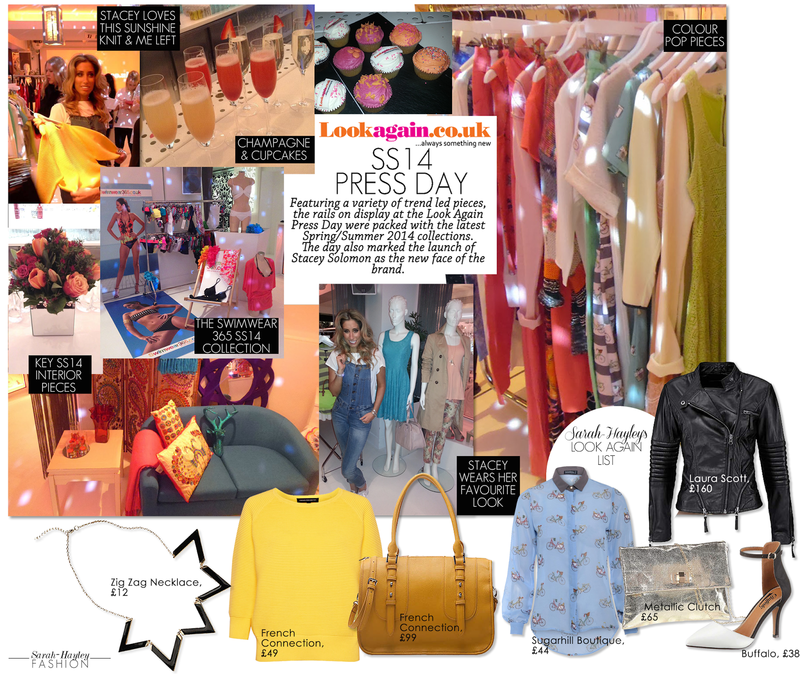 Take a look at some of my favourite pieces I spotted on the day and also the latest Look Again campaign below.